The Bergschrund by NW Peaks Brewery is currently closed. The company’s satellite taproom in Ballard reopens on Thursday, April 5th and moving forward will simply be known as NW Peaks Brewery – Ballard. Of course changing the name doesn’t necessarily require a taproom to close, but they’re implementing some other changes as well. Try to follow me here. NW Peaks Brewery opened its original pint-sized brewery and taproom back in 2010 or 2011 (don’t recall exactly). Eventually they shut down that location and opened a taproom right around the corner, taking over the old Two Bit Saloon, which they branded as The Bergschrund. That was three years ago. The beer was brewed offsite. Next, about 18 months ago, they moved into the former home of Spinnaker Bay Brewing in Seattle’s Hillman City neighborhood, where they took over the brewery and the taproom. And they continued to operate the Bergschrund across town in Ballard. Confused? They don’t want you to be, so this latest renaming and reopening is all about making things more clear. In Hillman City NW Peaks Brewery now operates a brewery with a taproom. In Ballard, they operate a satellite taproom. The Bergschrund will be temporarily closed immediately (Monday, April 2nd), to implement changes to the building. 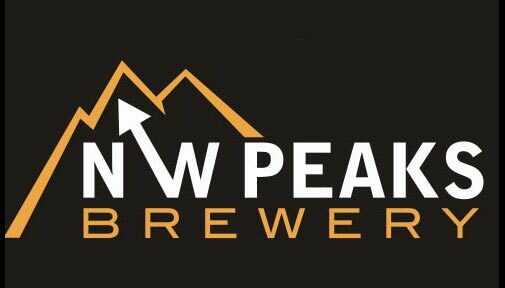 We will re-open NW Peaks Brewery – Ballard on Thursday, April 5th. Starting on the 5th at 3pm, the first weekend in April will be packed with food specials, great beer, and more. Relax with a pint on our newly refurbished patio and porch, and enjoy the best of Ballard beer! In honor of this event we will be releasing the much anticipated Barrel-Aged Double Redoubt. Aged in first use whiskey barrels (locally sourced from the Woodinville Whiskey Company! ), this beer is a souped up take on our Redoubt Red. Make sure to get in and try it before its gone!